Paul Macklin, an associate professor at the School of Informatics, Computing, and Engineering, has been awarded a grant from the National Cancer Institute to use supercomputers to study a series of experimentally grounded simulation models that will explore the complex cellular interactions that fuel the growth and spread of tumors in the body. Working as part of a collaboration with USC researchers Stacey Finley and Shannon Mumenthaler, Macklin will use PhysiCell, the 3D software he developed that simulates multicellular activity, to apply a new paradigm to cancer systems biology. 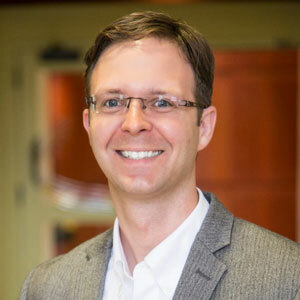 Researchers at USC are focusing on building datasets that can refine the molecular model of the cancer cells, and Macklin will work with colleagues in the Intelligent Systems Engineering department at SICE to improve the performance of the models and use IU’s supercomputing resources to run hundreds or thousands of simulations at a time. The award from the NCI also allows Macklin’s Math Cancer Lab to join the NCI Cancer Systems Biology Consortium, which will allow his group to learn from and work with the greatest minds across the United States in mathematical modeling, cancer biology, evolution, and clinical oncology. Macklin’s PhysiCell system allows researchers to test various treatments in a virtual world much more quickly and at a much lower cost.